Coonooer Bridge wind farm in Victoria is the nation’s top performer. Photo: Windlab. Climate Change Minister Shane Rattenbury is spruiking the benefits of the Territory sourcing wind-generated electricity with a new report showing an ACT-supported windfarm, Coonooer Bridge, taking out the nation’s top performer title. 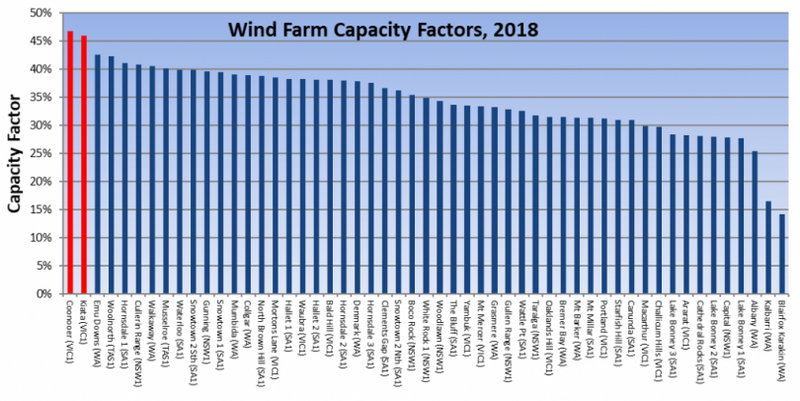 Mr Rattenbury said the report by windfarm developer Windlab, which tracked the capacity factor, or average power generation of wind farms across the country, also found the ACT-supported Hornsdale 1 wind farm, part of the 315MW generator in South Australia, was another strong performer. The report, presented to an analysts’ briefing on Wednesday (22 August) for the company’s latest results presentation, showed the 20MW Coonooer Bridge had been operating at capacity factors of 45 per cent or more in 2018. “It’s fantastic that Coonooer Bridge wind farm in Victoria, which commenced generating renewable electricity for the ACT in 2016, has been found to be a nation leader in its operation,” Mr Rattenbury said. Mr Rattenbury said the ACT was well on track to achieve 100 per cent renewable electricity by 2020. “Several of our wind farms are now online, with others like Crookwell 2 and Hornsdale 2 starting to feed electricity into the grid in September and December respectively. This will bring our renewable electricity generation to about 85 per cent,” he said. 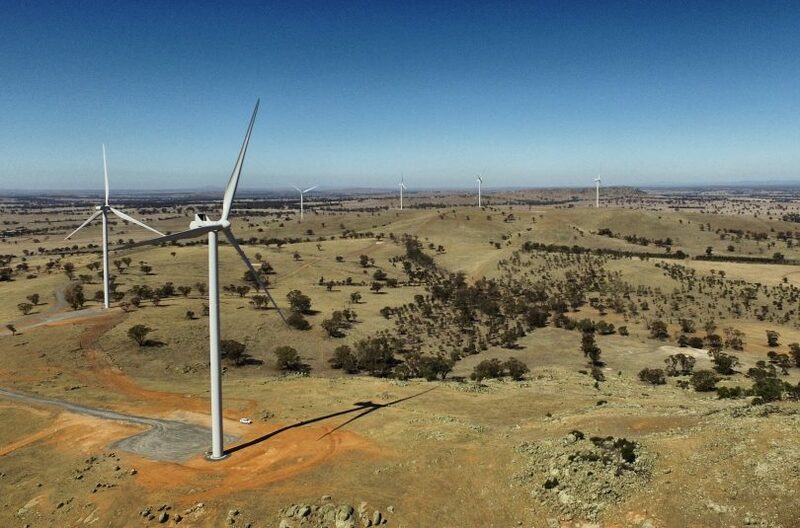 The second-highest performing wind farm this year is another Windlab generator, the 31MW Kiata wind farm in Victoria. According to reneweconomy.com.au, Windlab CEO Roger Price said that in July and August the capacity factor of both wind farms (shown in red) had been even higher – at more than 60 per cent. “It’s a great testament to our technology and its ability to find the best resources,” Mr Price told an analysts’ briefing. Windlab is a global renewable energy development company, established to commercialise world-leading atmospheric modelling and wind energy assessment technology developed by the CSIRO. In saying this is delivering the ACT “some of the lowest electricity prices in Australia” I for one would like to see some comparative figures. Also, what happens in 15 – 20 years time when these bird-blenders “clap out”? Hopefully we will have nuclear power by then.